BIEN has participated both in the community consultation involved in the development of the State Government sponsored Bruny Island Destination Action Plan and in the Implementation Group meetings to effect measures in the plan. We have concerns that this process cannot address the real issues identified by the community consultations, that being to match demands of increasing visitor numbers with the capacity of the island to manage without negative impacts. The press release and the document below it detail these concerns. Bruny Island community groups have indicated their intention to withdraw from the Government’s tourism planning process for Bruny Island. At a Destination Action Plan (DAP) meeting at Woodbridge on the 26th April, representatives of the Bruny Island Community Association(BICA) and Bruny Island Environment Network (BIEN) signalled their intention to walk away from the process if the issue of visitor capacity was not addressed. The groups cited their dissatisfaction at the inability of the current process to take real and meaningful action to address the issues associated with the recent rapid increase in visitation. “This action is even more urgent in the face of inevitable further increases in visitor numbers with the introduction of the new ferry and the continued promotion by the Government and the industry of Bruny as a destination”. Community representatives also pointed out that a focus on small scale infrastructure projects does nothing to address the underlying problem of matching demand with capacity. They stated that such projects, whilst valuable, appreciated and an important part of meeting visitor needs, on their own, they do little to ensure that tourism is of an appropriate scale and is sustainable in the long term. The DAP group supported the community proposal to seek discussions with the Premier, Kingborough Council and the CEO of the Tourism Council with the aim of getting a real, concrete commitment from them to jointly address the underlying problem of capacity deficiency. The community groups believe that unless such a commitment is forthcoming it will result in increasing community dissatisfaction with tourism, serious environmental damage, major infrastructure failures , and ultimately, unhappy visitors. BICA and BIEN take the view that fixing the problem is not the community’s responsibility, nor can it be done through minor infrastructure projects. It can only be fixed by the Government, Kingborough Council and the Tourism industry working together rather than leaving the Island and its people to fend for themselves. We have now been advised that a meeting with the Premier has been requested and that a response to the request will be made soon. We have also been contacted by the Premier’s office asking for more details of what we are seeking. Submission to the DAP Implementation Group – 26 April 2017. 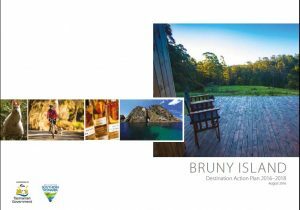 The Bruny Island Community Association and the Bruny Island Environment Network have given substantial support to the development of the Destination Action Plan, and the operation of the Implementation Group. In particular both of these organisations have emphasised the need to manage tourist activity on the Island so that it does not exceed the capacity of the community, the natural environment and local infrastructure to cope. Disappointingly, after 3 implementation group meetings this fundamental question appears to have slipped from the agenda. Meanwhile the latest Visitor Surveys undertaken by the State Government record a 75% increase in the number of interstate and overseas visitors in just 2 years. In 2014, there were 85,500 interstate and overseas visitors, 111,000 in 2015 and 143,000 in 2016. In addition there were over 80,000 intrastate visitors in 2015 (TVIS – 2016). “Managing visitor capacity and resident needs must take into account the economic, cultural and environmental sustainability of the Island. Seek to understand what visitor volume can be sustained and how to manage the impact of this activity……..” (Bruny Island Destination Action Plan Final version, October 2016). 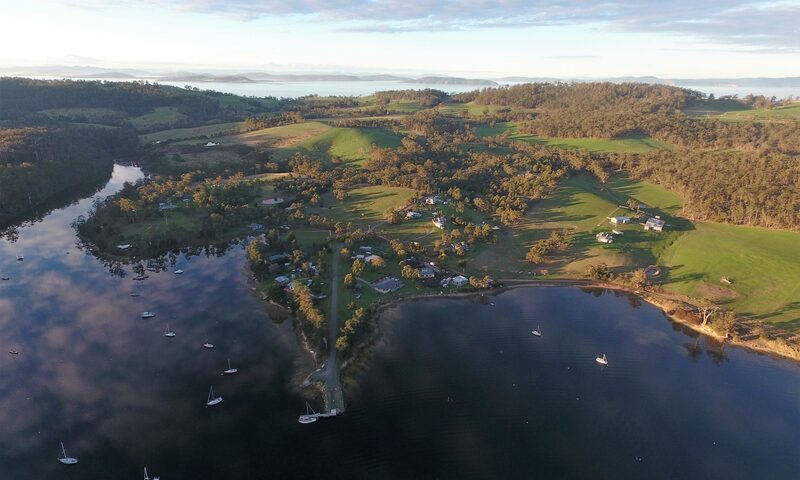 The underlying principle on which the strategy is based is that there is need to manage the levels of tourism activity on Bruny Island within the capacity of the Island’s infrastructure, its natural values and the common desires of the Island’s resident community and visitors. After 3 implementation meetings the DAP implementation group has not addressed in any way, shape or form its primary challenge to “manage visitor capacity”, and there have been no moves to identify what that capacity is. Rather, the priority has become “visitor infrastructure” (DAP press release – Bruny News, April 2017, p.18). The quality and availability of infrastructure and services is a symptom of success or failure in matching demand and supply. The quality of the Island’s infrastructure shows clearly that demand is far exceeding supply. There is increasing evidence of a negative community attitudes about the impacts of trying to cater for the needs of an unprecedented number of visitors. Services provided for and by the community are under stress. 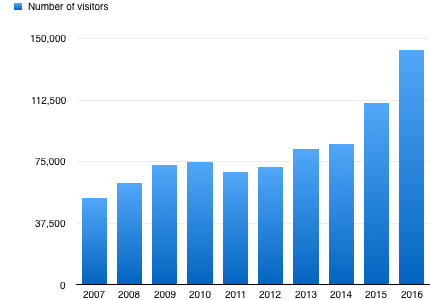 The number of visitors is still increasing rapidly. Environmental impacts are becoming more evident. There is anecdotal evidence of low visitor satisfaction. As requested we have reported back to our respective organisations and there is agreement that quite simply the Island, its residents and its natural assets are not coping with the increasing burden placed on them. Add to that the fact that most visitors neither understand nor respect the very values that make the Island what it is. The DAP Implementation Group has not set out to tackle its identified challenges, rather it has focused on band aid solutions – low level infrastructure projects. Those projects could actually increase visitation whilst doing nothing about managing the increased impacts. Clearly, the task of meeting these challenges is beyond the group. The responsibility to do something about this state of affairs rests with the State Government, Council and industry. It is not the responsibility of the Island’s residents to identify and implement solutions. They did not create the problems but they increasingly carry the burdens and the costs. BIEN and BICA are of the view that our continued participation in the DAP program is being seen seen as a tacit acceptance by the community of the current and emerging situation – in other words we are being used to give the process legitimacy. We have participated in the process so far in good faith. That our efforts and the views of the community are largely unrecognised is extremely disappointing. What we want is for the group to agree that the challenges can only be met by meaningful and co-ordinated action from State Government, Kingborough Council and the Tourism industry working positively with the community, and that the resources are provided to plan and undertake that action. Members of both BICA and BIEN have expressed the strong view that they do not wish to remain part of the implementation group unless the challenges set out in the DAP are effectively addressed and there is a move towards tourism which is sustainable in the long term and which respects the Island’s community, its environment and its capacity to cater for visitors.